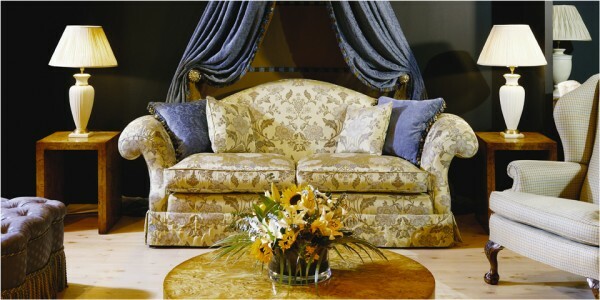 The Artistic Upholstery furniture range is entirely bespoke and includes the best of modern and traditional bespoke English furniture - all of the sofas, armchairs, occasional chairs, sofabeds, daybeds, chaises, office and desk chairs, ottomans and footstools are handstitched including any valances and bullion fringes. As the range is so large we have split it for you. 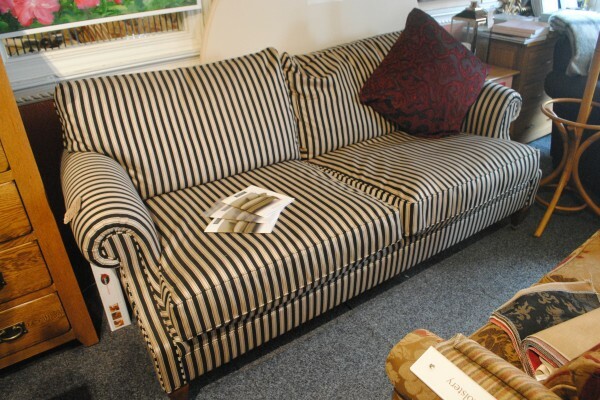 For the pieces classified as decorative by Artistic Upholstery please click here where you will also find examples of special commissions. 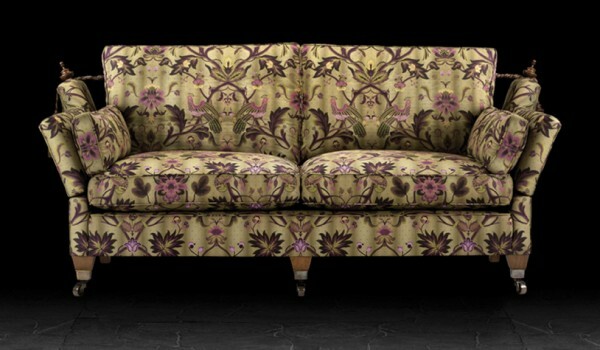 At Harvest Moon we can supply all of the Artistic Upholstery bespoke furniture pieces, including the Belmont sofa as shown above. 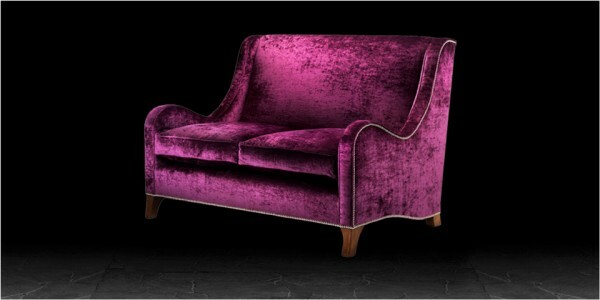 We have selected some of our favourite bespoke furniture pieces to show you here as a taster. For the more decorative pieces please click here. 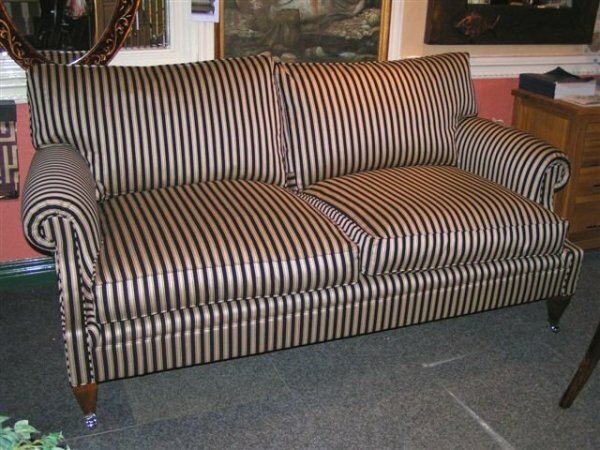 The image above and immediately below shows the Artistic Upholstery large 2 seater sofa Mayfair sofa in traditional Regency Awning Stripe cream and dark navy with mahogany feet, brass castors and scrolled arms in our Southport furniture showrooms. 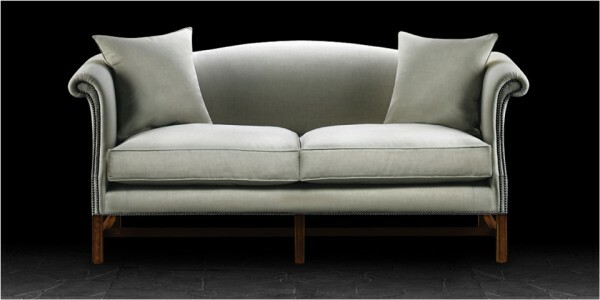 The Mayfair sofa has a fully sprung base and pure feather and down cushions. A standard 2 seater Mayfair sofa is also available and both sofas are available with a choice of a depth of 100cm or 112cm and is also shown below. 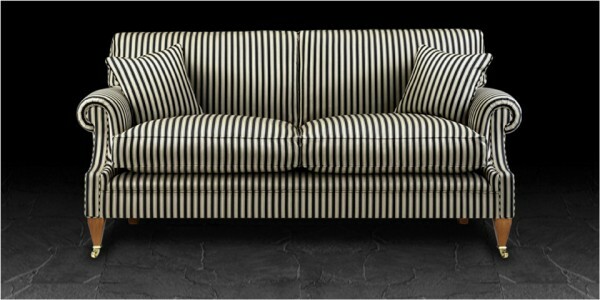 The Mayfair sofa is also shown below in Awning Stripe Black / Camel fabric. Like all the Artistic Upholstery models the Mayfair range is available in a full range of fabrics and the image below shows several pieces from the same range in another fabric option which offers a very different look. 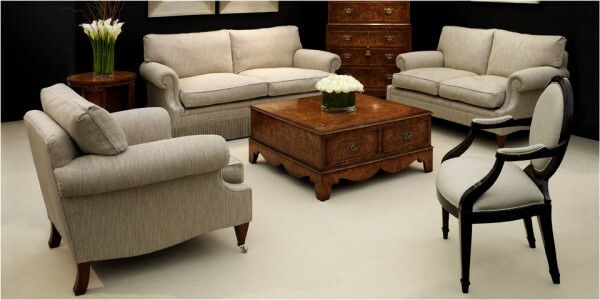 The sofa at the rear centre of the image is the Mayfair large 2 seat sofa standard, also shown are the Mayfair 2 seat sofa and Mayfair armchair along with the Artistic Upholstery Antonio occasional chair. 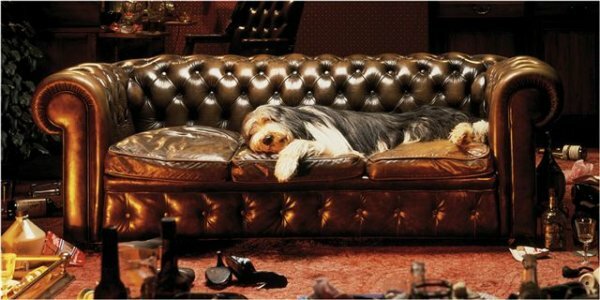 The image below shows the glorious Artistic Upholstery leather Chesterfield - the epitome of English classical bespoke sofa design. 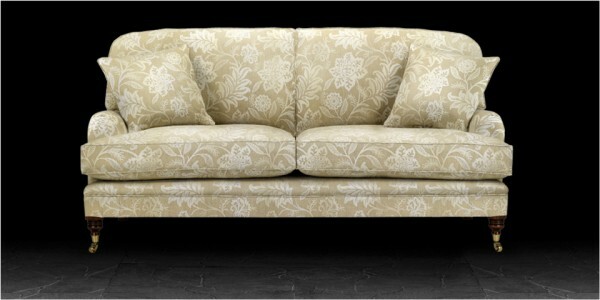 The image below shows the Artistic Upholstery Renfrew large 2 seater sofa in Lisemore Sand fabric. 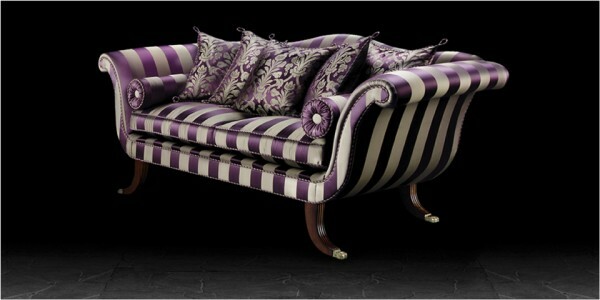 The Artistic Upholstery Gloucester Knole sofa with valance in Paradise Aubergine fabric is shown in the image below. 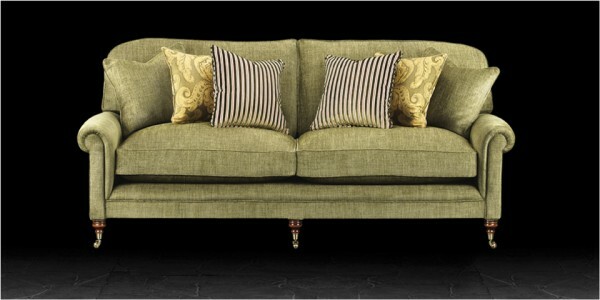 The bespoke Knole sofa has arms that fold down by undoing the ropes turning it quickly into a chaise day bed. 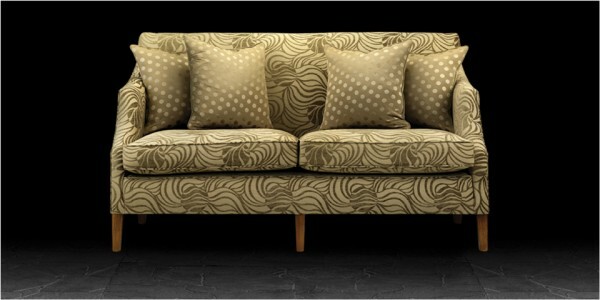 The image below shows the Artistic Upholstery Henley large 3 seater sofa in Marty Basic fabric with additional scatters. 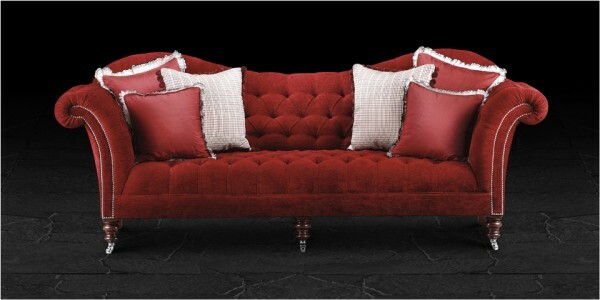 The image below shows the Artistic Upholstery Chester large buttoned sofa in Red Chenille and shown here with studded facings, mahogany turned legs and castors. 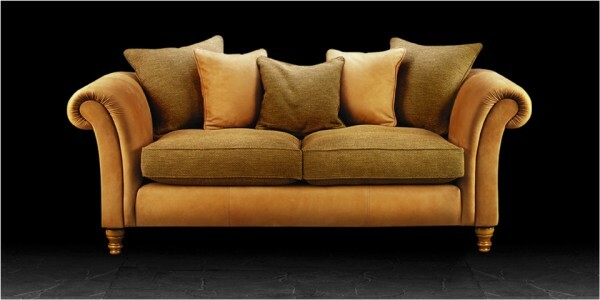 The next image shows the Artistic Upholstery Cambridge sofa in Tan hide and Webster Taupe chenille fabric. The image below shows the Artistic Upholstery Belmont large sofa in Sonate Ague fabric along with a small Hexham stool and a Selkirk armchair. The next image shows the Artistic Upholstery Waverley small sofa / love seat sofa in a very contemporary Apia Plum chenille fabric with silver studded detail and modern wooden feet. The next model is the Artistic Upholstery Eaton 2 seater sofa again shown in a contemporary fabric, this time the fabric is the Gatsby O2 Taupe and the legs are light wood. The magnificent Vienna large sofa can be seen in the image below in Aubergine Stripe fabric with matching bolster cushions and scatter cushions in Aubergine Damask - a true statement piece for any room. The York large sofa with elegant lightly scrolled arms can be seen below in Natural Linen fabric with studded facings and base. 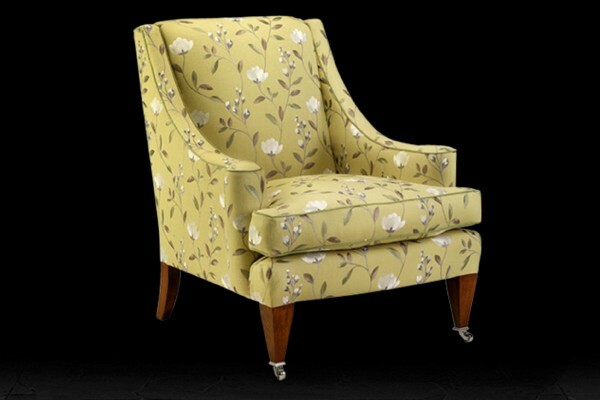 Moving onto chairs, the Artistic Upholstery Knightsbridge classic style armchair is shown directly below in Lemongrass fabric. 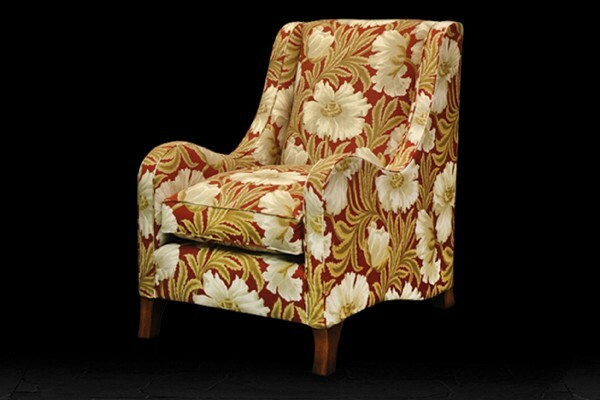 The Waverley armchair can be seen below in Sissinghurst Red / Linen fabric. 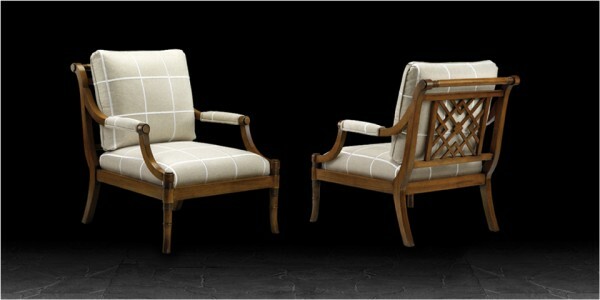 The image below shows the Artistic Upholstery Ashbourne armchair in Phonix fabric on the left and the Wetherby armchair in Ella Cambridge armchair on the right both with mahogany legs and casters. The Artistic Upholstery Lucca chair can be seen below in Blanket Beige / White fabric on a polished frame with carved detailing as shown. 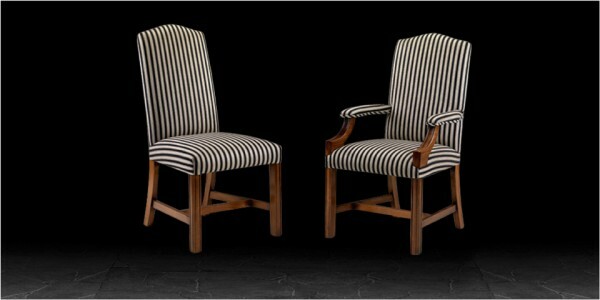 Artistic Upholstery also offer a small selection of bespoke upholstered dining chairs including the Brompton dining side chair and dining armchair / carver which can be seen below in Awning Stripe Black / Camel fabric. 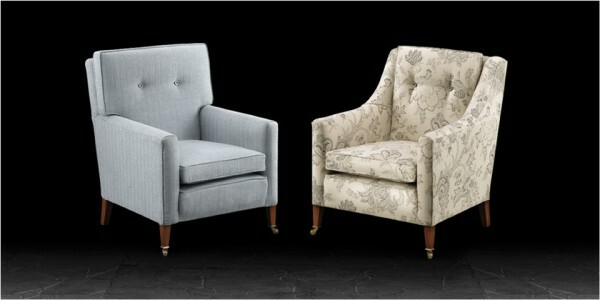 The images below from the Artistic Upholstery office chair range show the Artistic Upholstery Douglas chair on the left and the Captain's chair on the right. 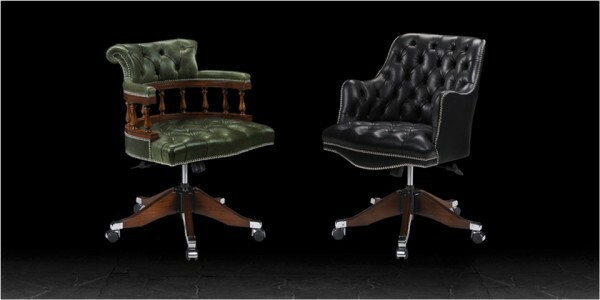 The office chairs are are suitable for use as a desk chair for your home, office, meeting room or as a games chair and are available in the finest of leathers with individually hand tied buttons, hand applied studding, polished wood finshed to match your preferred colour and a choice of twin wheel castors in either black chrome or brass. 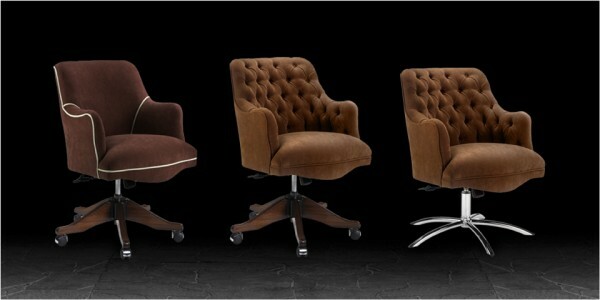 The office chairs are also available in other fabrics as shown in the 3 different images below of the Douglas office chair. All 7 different chairs in the office range have a high quality "gas lift" base allowing the seat to be adjusted to your preferred seat height and a simple tilt action to give you exceptional control of your chair.